We missed you! We’re sorry we’ve been gone for far too long. It’s been quite the journey. Since we last gave a life update over a year ago (oh gosh, how’d that happen?!?) a lot has happened. We’ve moved multiple times, but we finally purchased our own place. Unfortunately, it’s quite the fixer upper and it will be a few months still until we can move in. We also got a new car! But not by choice. On our way to a family wedding in the USA last year we were hit off the road and our car had to be written off. Luckily, no one got hurt, but we did have to walk across the border with a snow brush in hand in the middle of July (by far our easiest border crossing). As a result of losing our car and not having an immediate replacement, Kevin was forced to quit his job, but luckily found work at a toy store that sells board games. Our fall was spent in less than ideal living conditions and therefore our purchase of a fixer upper house. Overall, life has been just a hectic and stressful as ever, but things are looking up...we think. Although we’ve struggled and have had heavy burdens placed on us, we realize that in many ways we’ve been so lucky to have a core of family and friends who have supported us and helped to carry some of that burden. What does this have to do with game design? Nothing really. What does it have to do with the blog? A great deal. We started this blog as a way of helping new designers hone their skills and be successful. 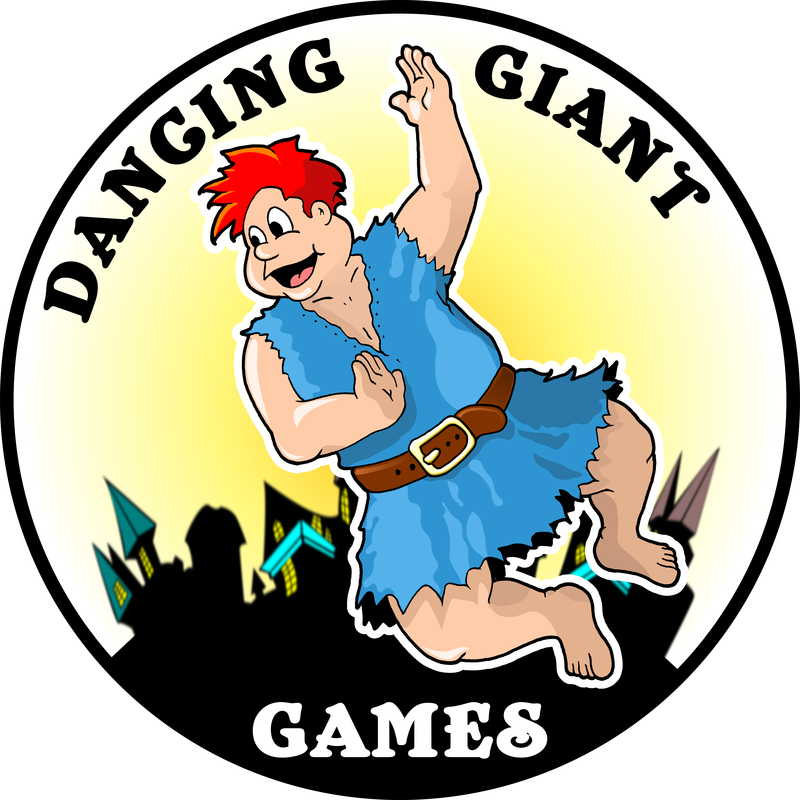 To this day that’s still our vision for what the Dancing Giant Games website has to offer, but we’ve been hindered in delivering on that vision by personal circumstances. However, we realize that we soon will have the opportunity to once again help new designers and to pass on some of our knowledge and the goodwill that’s been given to us. If you follow us on social media, you’ll know that we are planning to start a podcast that in many ways will be a replacement for this blog. Allysha is still determined to post new content when she gets the chance, but for the most part the podcast will be our main media content. The reasons for this is that it’s a medium we’re more comfortable doing together (specifically Kevin) and it will be less demanding on both of us. As for when the podcast will begin to air, that’s all dependent on when our house is finished. Below are a couple of pictures of what we've been working on recently. Currently, we’re working on 8 different episode ideas and have the outline for our first podcast: “What is a Game?” ready to go. Not only that, we’ve already done a test run of that episode and it’s by far the best content we’ve ever done (disclaimer: we may be biased). Regardless we’re very excited for when (not if) the Dancing Giant Games podcast launches! This summer Kevin will be attending Protospiel Michigan in July, GenCon at the start of August, and ProtoTO at the end of September (unfortunately Allysha has other engagements to take care of during these times). Except for some volunteer work during these conventions, Kevin will have a lot of free time and we’d like to put that time to good use. We’ve come to recognize from our own experience and those of others that there are many reasons beyond one’s control that can prevent new designers from pursuing their projects. We want to devote some of our time to pass on knowledge, advice, and resources to those who haven’t been given a fair chance by no fault of their own to succeed as designers. We want to do our best to start bridging these gaps and not just help new game designers, but to help there be more new game designers. If you fit into that category, will be attending any of the above conventions, and would like help with anything game design related Kevin would be happy to put aside a couple hours for you to talk, playtest, advise, or whatever it may be. Send us an e-mail at dancinggiantgames@gmail.com, message us on Twitter at @TheDancingGiant, or on Facebook (Dancing Giant Games) and let us know what convention you’ll be at, when you want to meet (day and time would be lovely), and (only if you’re comfortable talking about it) what you’re struggling with or what you want to discuss. We hope to hear from you and meet you soon! It has been over four months since we last posted anything and we think it’s about time we give a full explanation. We’ll begin in late November when Allysha found out that her university had essentially cancelled her program--it was also around this time that we opened up registration for Play & Pub Toronto. Reconsidering career plans and living situation was stressful, but we were excited to start promoting Play & Pub. That was until December rolled around and we spent the whole month sick. During that time we lived between Toronto and Barrie before we moved out of our Toronto apartment in mid-December. After moving back to Barrie, finally getting better, and having a lovely little getaway at Boardgame Basecamp, we began January working hard to promote and expand Play & Pub Toronto. Our January could be summarized as a full on promotion and preparation month for Play & Pub (Allysha was also prepping for the upcoming dance competition season--which Kevin helped with). Any “free time” was spent reorganizing our things and trying to get settled again after moving for the second time in 4 months. If there’s one thing we took away from organizing Play & Pub Toronto, it’s that running a convention will steal away every free second you have. February was more of the same, except Kevin went back to working full-time hours for the first time in over a year, and Allysha got sick again with something much worse than a common cold. Being a few weeks away from Play & Pub Toronto as well as starting a new job was not optimal, but needed to be done. During Kevin’s first week at work, Allysha was admitted to the hospital for a kidney infection, and we found out that our game Wipeout! (formerly Pulled into Darkness) would no longer be published due to a refocusing of the company and a lack of fit with the brand. Luckily, we are supposed to be getting documentation soon that will give us the rights back and allow us to start pitching to other publishers. Approximately one week after that (which was one week before Play & Pub Toronto and Allysha’s first dance competition), we found out that where we are currently living was going to be put up for sale; with the way the market is right now that meant we had to be out of the house for 4 days while the showings went on. At the same time, Kevin’s parents were also preparing to sell, which made for a extremely busy and stressful week that took awhile to recover from. In summary, February was garbage. It was busy, stressful, and overall rather crappy for these and other reasons (we’re happy to say March was much kinder). So where does this leave Dancing Giant Games and the blog? Over the past four months we have been trying to get blog posts together, but to no avail. We still plan on posting, but we will not be following a schedule until further notice. The lack of schedule will be partially because of everything that’s been said above, and partially because we are trying to figure out where next to take the blog. We are starting to exhaust topics that help beginner indie game designers and need to either start looking into guest posts or start branching out to more complex topics. However, we have not been able to take the time yet to determine which path we’ll take or how to pursue it. We would love to hear what our audience has to say; if you have any ideas let us know! Another thing to consider is our plans with Play & Pub. If we continue down that route and try to expand the convention, there are going to be months out of the year when we simply don’t have time to get posts out. Currently, Play & Pub’s future is still up in the air based mostly on our own restrictions on time and resources. We’re happy to say that most of the survey results we got were positive, but it does appear that we should be scaling back a little. We apologize that we’ve been very quiet for a long time now. It just seems that life has been throwing us around for about 7 months (especially February). We hope to start righting the ship in the next couple months and making more updates about what will happen to Dancing Giant Games, but for right now we’re just trying to keep our heads above water (speaking of which, we will be moving twice more before year end). That’s it for this week! In terms of what we’re up to, we just came back from North Carolina to judge the Cardboard Edison Award Finalists! Hopefully we can blog about that experience sometime in the future. However, that will be the last time we travel for awhile and we must sadly confirm that we will not be attending Gen Con 50 nor Prototspiel Michigan this summer. We will however continue to attend Toronto designer nights and conventions when we can, so make sure to follow us on our social media to keep up with where we are! From November 3rd-6th I was in Morristown, New Jersey for my first ever Metatopia. I had a great time, got to meet some awesome people, and completely forgot to take pictures or record names for this blog post (pure blogging professionalism right here). Regardless, after some much needed recuperation, I wanted to share some of my experiences and things I learnt while at the convention. First, let’s discuss demoing our word game: Grumble. I scheduled 4 two-hour slots to show off Grumble throughout the weekend (which appears to be the standard), for my first slot on Friday afternoon there was only one person who showed up, which was somewhat expected based the fact that I submitted a last second and rather boring description of the game. Despite this, the session went relatively well and I got some good feedback that started a chain of minor changes to the game. Luckily, at the next two sessions attendance picked up with 4 playtesters at each and I also got opportunities to playtest Grumble outside of the scheduled slots. However, by the time I left Metatopia late Saturday night there was no one signed up for the Sunday morning slot; I fully expected to arrive at the convention to an empty table to nap on. To my surprise, when I arrived there were already 4 playtesters waiting and a 5th joined in. Two of the playtesters had played the game previously on the Friday night, Murph and Karen (if I got those names wrong I apologize), which as a designer is an amazing feeling! Somewhat unfortunate for them though, I had changed and iterated the game multiple times throughout the weekend and we ended up playing two different iterations during that slot; a liberty I was lucky enough to have as Grumble is a relatively short game and playtesters enjoyed it enough to give it a second (or third) shot. At the end of it all though I ended up only one tweak off from a game that many playtesters enjoyed and that fit the core experience I was chasing after. Personally, I got exactly what I needed from my playtests and was very pleased with how the signup system turned out. However, I do think there are minor scheduling problems with Metatopia playtesting. One of my concerns is that the playtest slots go too late into the night. This concern was validated for me when I saw a relatively well-known designer/publisher walk out early on their 10pm-12am slot because no one showed up. What made it even more surprising was the playtest was for an expansion to a well received game. Although 10pm slots are great for some people, I think it’s too late for most attendees who want to survive the weekend. Next year, I will continue to avoid signing up for those slots and start winding down for the night instead. I want to quickly mention a few thoughts on something that as far as I know is unique to Metatopia: Hi-Tests. Hi-Tests are basically playtests where the designer has specifically requested that only designers, publishers, or helpers at the convention play the game. The staff behind Metatopia works very hard to make sure that the slots for Hi-Tests get filled with designers and publishers who have experience creating and publishing similar games. All of this is in the hopes that there will be a higher quality of feedback during those sessions in order to better guide the design. Each designer gets the opportunity to request that one of their slotted playtests for the weekend is a Hi-Test. I did not request a Hi-Test as in my personal experience the majority of people who end up playtesting your game at conventions like these are designers anyway (Metatopia was actually the first convention that it was mostly people with playtester badges who played our games). My other thought was if someone really wants to playtest my game at a certain slot (like Murph and Karen) I don’t want to take that opportunity away from them just because they’re “not experienced enough” to give the kind of feedback I’m looking for. However, that’s my own personal view and doesn’t reflect what Hi-Tests are about. I was very intrigued to find out what other attendees (who actually participated in Hi-Tests) thought about this unique offering. What I got was relatively mixed opinions. It’s clear that there is value to receiving feedback from people who have experience with your type of game. However, sometimes that type of feedback isn’t very helpful if the game is not at a level that warrants higher level feedback. Additionally, it didn’t help that sending around a select few Hi-Test playtesters means that eventually they tire (just like a regular attendee) and start dropping out. This created a situation where what looks like a full playtest of industry professionals turns out to have just excluded desperately needed playtesters (which was what happened to our friend Peter). In the end, I think the Hi-Test is a unique way to separate Metatopia from other conventions and definitely adds value for some. Personally though, I would never request a Hi-Test for one of my slots. Throughout the weekend I was able to witness various developers in action and examine at a very basic level how they think. The pattern that appeared to emerge was that they could iterate really quickly, their brains always seemed to be coming up with new ideas and they didn’t mind trying out new things. This led me to one of two conclusions: 1) Developers have a different way of looking at games than designers or; 2) I need to change my view on how I design games. From my experiences at Metatopia, I came to the conclusion that good designers think methodically about creating a solid base while good developers can easily identify those solid bases and then iterate on top of them like crazy to make a good game great. Honestly though, I could be completely wrong about this, but it was definitely cool to watch them work and it’s something I will be taking into consideration when I think about our future designs (it’s also why I was more accepting of iterating Grumble so much throughout the weekend). You may have remembered that we mentioned in our GenCon review that we personally thought that the seminars were not worth the time. The Double Exposure folks who ran the First Exposure Playtest Hall at GenCon assured us that the seminars at Metatopia (which is also their event) were much better. Having a thirst for knowledge, I decided to give them a try. I ended up only signing up for 3 seminars as to keep my schedule open and I have to say that they were definitely worth it. There were still things said that I knew, but I came out of them very satisfied and armed with a lot of new knowledge. At “Life after Kickstarter” presented by Gil Hova (Formal Ferret Games), and Diane & Nick Sauer (Shoot Again Games), I got a crash course on the different options for selling additional copies of your game after a successful Kickstarter. I gained some extra knowledge on how to make your game stand out and be retailer friendly at “Designing for Retail” by Melissa Lewis-Gentry (Modern Myths), Cat Tobin (Pelgrane Press), Matt Fantastic (Prettiest Princess), and Zev Shlasinger (WizKids). I also had a very satisfying and personal Q&A session at “Developing Legacy Games” with JR Honeycutt (Artana Games and developer of SeaFall and the upcoming Charterstone). Overall, I was very happy to see that the quality of the seminars reflected the quality and quantity of awesome professionals at the convention. It was surprising though to see that some panels had almost no one show up and others were really crowded. Additionally, some panelists were well prepared and others winged it, but still did great. I was very happy with how I spaced out my schedule and left it mostly open with only 7 scheduled events for the whole weekend. Having an open relaxed schedule made sure that I was never rushing from one event to the next and allowed me the freedom to sit down at games that really needed the extra playtester. I quite like doing this because it usually introduces me to some interesting games I’d never play otherwise. Additionally, it allowed me to participate in all the other opportunities that I usually miss out including: lunches and dinners with groups of other designers and publishers, opportunities to casually playtest games, and meet some amazing people (it’s much easier to meet people while taking a break than at a scheduled event). In the end, I got a lot more out of the convention and missed less by not scheduling as much, which is kind of ironic. Another happy accident that occurred from not scheduling as much was a revival of energy on Saturday night from playing Brew Crafters (which I’m currently obsessed with by the way). A group of us had just come back from dinner and although you would think that’s usually a nice break I was still exhausted. Playing Brew Crafters, a game I thoroughly enjoy and don’t have to examine in order to provide feedback for, completely reset and re-energized me for the night. I’ll definitely remember this for the next board game prototype convention I attend. Overall, the experience was great and I look forward to the both of us attending next year! If you’ve been following us along you may remember that Allysha was one of the IGDN’s Metatopia Scholarship winners for 2016, but unfortunately she was unable to attend. Luckily, Avie at Double Exposure was kind enough to hold Allysha’s scholarship for her and so she will be coming down with me next year. YAY! Lastly, another big thank you to Chris & Suzanne of Cardboard Edison for letting me stay at their place. Reminder that we will be hosting a board game prototype convention: Play & Pub in Toronto from February 24th-26th. We’ve confirmed two more publishers: Mercury Games and Jellybean Games and hope to be opening registration next week! Again, if you represent a publisher or would like to help sponsor in some way please feel free to Contact Us or send an e-mail to DancingGiantGames@gmail.com. In other exciting news, we have been bestowed the honour of being Cardboard Edison Award Judges! We will be heading down to North Carolina in late March/early April for what promises to be an awesome weekend of judging. We also be taking the time to see a Carolina Hurricanes home game; Kevin’s favourite team (I know, it’s a weird favourite team for a Canadian) and an experience that’s been on his bucket list for awhile. That’s it for now. Just a heads up that we do plan to be blogging through the holiday season, so there shouldn’t be any interruptions in our regular programming! If there is anything specific you want us to write about though, let us know! This week we’re going to discuss ways to approach randomness and uncertainty when designing games to bring about tension and engagement. For the sake of consistency we will be using the definitions of uncertainty and randomness found in “Game Elements: Uncertainty” by Teale Fristoe. As per the article, randomness is a subset of uncertainty--where uncertainty is when there is at least one unknown for at least one player. 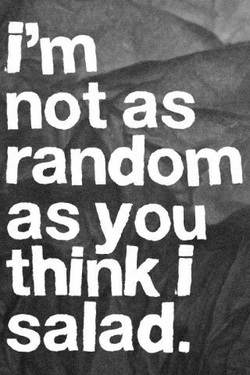 Randomness is defined as something that is left completely up to chance (which still causes uncertainty for players). For instance, in a game of Werewolf roles are assigned randomly causing uncertainty amongst the players of who could be on which team. However, once the roles are assigned, randomness is taken out of the equation, but the uncertainty remains due to an information imbalance. You know your role and that will not change throughout the game, or when you are revealed, so your role is no longer random. However, other players don’t know who you are and so although the information has been revealed to you, making it no longer random, your role is hidden to the other players causing uncertainty amongst them. This distinction may not seem to be very important and a little bit like splitting hairs, but its power will come into play when we discuss tension and engagement. Before we do though, we need to discuss another set of terms that sometimes blur together: input and output randomness. Input randomness is when a random event occurs and afterwards players get the chance to react. It can be part of the setup of a game, similar to roles being randomly assigned in Werewolf, or it can be part of the beginning sequence of a turn/round like rolling dice in King of Tokyo. Output randomness is when the randomness defines the course of the game or cannot be counteracted by the players. A good example of this is roll and move mechanics in games like Monopoly or Trouble. However, output randomness is not equivalent to a game being void of choice. Players may still make choices and weigh probabilities before a random output. An example of this is rolling for combat (or almost anything else) in Dungeons and Dragons (DnD). Sometimes these lines blur though, especially when a turn or game can end on a random outcome that would otherwise be reacted to. In Pandemic, players are both reacting to what has happened from the last infection cards drawn and are planning for what could happen when the next infection cards are drawn (a mostly random event that may end the game). Therefore drawing infection cards can be considered both an input and output randomness event. If we take another look at the King of Tokyo example (or Yahtzee), the last roll of a player’s turn (when no more rerolls are left) is an output randomness event; the player is stuck with whatever they’ve rolled. Otherwise, when rerolls are available and players can decide which dice to “lock in” rolling is a input randomness event. Some designers (including myself until recently), believe that input randomness is more palatable and satisfying for players than output randomness. What really matters though is how many meaningful choices are made, how they are presented, and the audience you’re going after. Figuring out your strategy for a game of Scythe after seeing what factions, player mats, and objectives are in play is fun; equally as fun though is slaying a mighty dragon with a tree branch because you rolled a critical (an unexpected outcome only possible by a random output). Regardless if you have input or output randomness in your game, it is important to make sure there are meaningful choices either before or after the random event. Again, this depends on the type of game you’re making, but even in a very light-hearted luck-driven game the few choices made should be meaningful. For instance, Dead Man’s Draw makes every draw important as almost every card is either changing what you’re doing on your turn or will make you bust. Dice-driven roleplaying games, like DnD, can get away with randomness determining quite a bit of what your character is and isn’t able to do because they create a world where you can do almost anything. Additionally, they provide almost all the data needed to weigh your options before making a risky decision right in front of you on your character sheet. Yahtzee on the other hand makes sure that your choices become less meaningful as the game goes on. Although you can choose which dice to keep and which to reroll, eventually the game forces you to focus on a shrinking list of objectives. This means as the game goes on you begin to notice more and more you’re playing a game of chance. If you want the randomness in your game to bring about tension and engagement one of the best ways to do it is to give the players some information on how a random event will turn out. Social deduction games thrive on the notion that no one else knowing your “random” role creates discussion. The best ones though make sure each player gets a little bit of extra information about the other players’ roles either through gameplay or special abilities (for example, Deception: Murder in Hong Kong). These games don’t rely solely on players making up their own facts through social deduction. Instead, they reveal little bits of information about other players while keeping uncertainty. Pandemic does a fantastic job of presenting randomness to the players in the infection card deck. Drawing a card from a shuffled deck is a random event, and when that random event can determine the fate of the game there is a noticeable level of tension drawing from that particular deck. What increases that tension is if you know the card that ruins your plans is in that deck. Pandemic makes sure you stay at that level of tension with the nasty “Intensify” phase of each Epidemic card. Not only does this give the players the knowledge that the card(s) that can ruin all their plans will be drawn at random eventually, but they know it will happen soon (most likely too soon to do everything they need to). By “revealing” this information about a random event and presenting it in such a fashion that “doom is always around the corner” brings about a level of tension and engagement that is hard to match. To make your games truly intense and engaging you want to have randomness that is slowly changing with bits of information being revealed along the way so players still have a chance to either plan or react to it in meaningful way. Generally, you want randomness that turns into a strict uncertainty where what is known about the random events will cause players to analyze the opportunity costs of their choices. For example, in a social deduction game, revealing you know a piece of information about another player to hopefully obtain additional intel could be at the cost of giving enough information to the other team to win. In a game like Pandemic, going for cures may make the game easier in the long run, but it may be at the cost of potentially allowing another outbreak waiting in the infection deck to occur. These are the types of decisions that make for great gaming experiences and should be what you strive for when designing. When implementing randomness into a game design it is our belief that making sure players still make meaningful choices while maintaining uncertainty (and not just pure randomness) is the most critical factor in ensuring an engaging game. Whether or not players make those choices before or after a random event only matters for what audience you’re targeting. What do you think though? Are we underplaying the role of input and output randomness in design? Have we forgotten another important element in implementing uncertainty and randomness into a game design? Let us know in the comments. Before you go we’ve got some exciting news! From February 24th-26th we will hosting a board prototype convention: Play & Pub in Toronto! We’re still working on the details, but we have just confirmed a couple amazing sponsors (Hasbro Gaming Lab and The Game Crafter) and our first publisher: Kids Table! If you’re a publisher, someone interested in sponsoring the event or just want to know more information, please reach out to us on our “Contact” page or send us an e-mail at DancingGiantGames@gmail.com. For the rest of you, more information will be released soon so make sure to follow us on social media and check back here on the blog! Today we’re discussing the importance of designing with the core experience in mind and how properly doing so creates better games. For those who may be unfamiliar with the term “core experience” it’s generally defined as the experience you want your game to provide to players. More specifically, it’s the emotions and feelings you want your game to provoke as determined by its mechanics and the way the theme is presented. It should be noted, however, that games that have the same theme and similar mechanics can still have different core experiences. For instance, Axis & Allies and Memoir ‘44 are both World War II games with dice driven combat, but the experiences and feelings provoked in each are different. Axis & Allies focuses on the stresses of managing a large war machine, and Memoir ‘44 focuses on the tactical combat of historical battles. Because of these and other nuances, there is a deeper ‘connection’ to your pieces in Memoir ‘44 than there is in Axis & Allies and the core experiences are different. We’re going to address a common mistake some designers make when asked about the core experience of their game and then we’ll get into how designing with the core experience in mind helps designers create better games. Some designers define the core experience or the core of a game as the thematic elements and mechanics that have to stay aka are “must-keeps”. Oftentimes when a designer thinks about the core experience in terms of “must-keeps” they tend to list most of the mechanisms and thematic elements currently in the game. As far as we can tell, this tendency is related to the emotional and psychological connection designers have with their designs and people’s natural aversiveness to change. Designers may be averse to change to avoid feeling like they are losing control over their vision and the game they’ve created. However, by limiting the creative space you have to work in, by creating a long list of “must-keeps”, your game will have a tough time growing and developing. It will also be much more difficult for you to accept outside feedback and apply it to your design. Basically, whatever state your game is after the first external playtest is pretty much where it’s going to stay with this kind of fixed mindset. Of course this won’t apply to every designer, but the amount of creative space you can work in is vastly increased by chasing the experience your game creates for players instead of what you want to keep in the game. One of the other problems with designing based around keeping certain mechanical and thematic elements is that the goal of any changes you make is unclear. Your only goals will be to make a good game and to keep certain elements in your game. The elements you want to keep are already there, so the only real goal you have is to make a good game. That’s so arbitrary and wide open that it’s a nearly impossible target to hit. On the other hand, designing around the memorable experience your game should create gives a very specific goal on how your game should perform and feel. This does open up the game for a lot of possible changes, but when the game is off you’ll know what needs to be added and can start exploring possible design solutions, and when do find the memorable experience you were chasing after you’ll know it. Designing around a core experience may be a difficult challenge at first. As we’ve mentioned, there’s a natural tendency for us to be averse to change and hold on to the thing we’ve created, and there’s also a lot of creative space to work in that may seem overwhelming at first. However, having all that open creative space allows you to experiment with your design in many ways without losing what you liked about the game (assuming you’ve fully embraced designing based on a core experience). You’ll learn a lot about approaching themes and mechanics from unique perspectives which will ultimately separate your game from others like it in the market. All this experimentation has another positive which is you’ll become a better designer. The more you practice and experiment doing something the better you’ll get at it, and game design is no different. But wait, there’s more! Being flexible with your design and experimenting will alleviate some of the anxiety you may have passing your design onto a publisher who will want to develop and tweak your game to fit their lineup. ​Before we go, we’ve got a few things to keep you up to date on. First off, Kevin is currently in New Jersey for Metatopia! It’s the first time either one of us will have attended the convention so if you’ll also be attending and spot him expect him to look a little overwhelmed. If you’d like to see what we’ve been working on, feel free to approach him and ask to play a game. Throughout the weekend he will be running playtests of our party word game Grumble. You can find it on the schedule under codes B188, B308, B566, and B724. Also, we’ve been working on organizing another project for the Toronto area that we hope to make an official announcement about soon. Stay tuned for more details! ​Thanks for dropping by! If you have any questions or comments, please leave them below.